The Director-General of the International Labour Organisation (ILO) Mr. 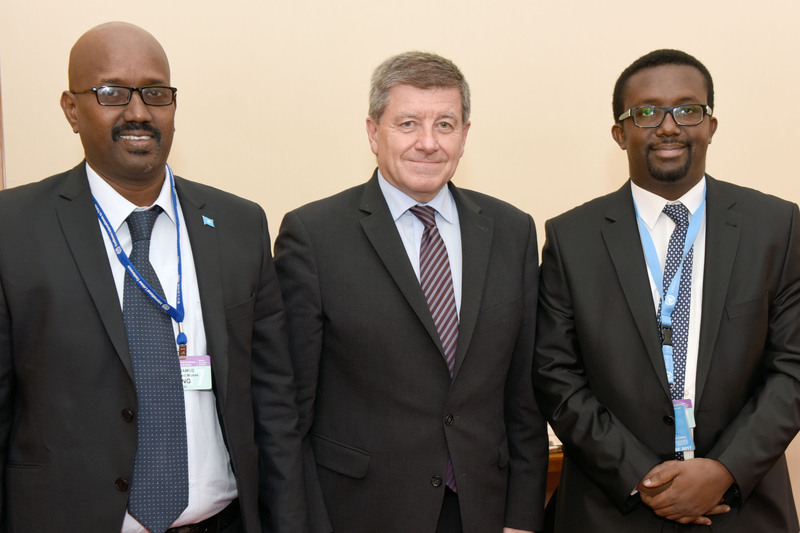 Guy Ryder met yesterday at his office with a delegation from the Federation of Somali Trade Unions (FESTU) who are attending 106th session of the International Labour Conference in Geneva, Switzerland. The FESTU delegation, headed by its General Secretary Omar Faruk Osman and accompanied by its National Treasurer Mohamed Mohamud, discussed with ILO Director General and other senior ILO officials about the unjust situation in which free trade unions are currently operating in Somalia, precarious working conditions of workers, lack of tripartite social dialogue that creates conflict between ILO’s tripartite constituency in Somalia, concerns over deliberate encroachments of ILO’s fundamental conventions on freedom of association and union organizing as well as frozen process of the validation of Decent Work Country Programme. ILO Director-General assured FESTU delegation that he is closely following the situation in which FESTU and its affiliated unions are operating in Somalia with serious concern, and reasserted ILO’s continued support and cooperation with FESTU to advance workers’ rights and application of ILO’s international labour standards in Somalia. He said there is a very clearly detectable convergence in the priorities and ambitions of FESTU with the objectives of ILO. 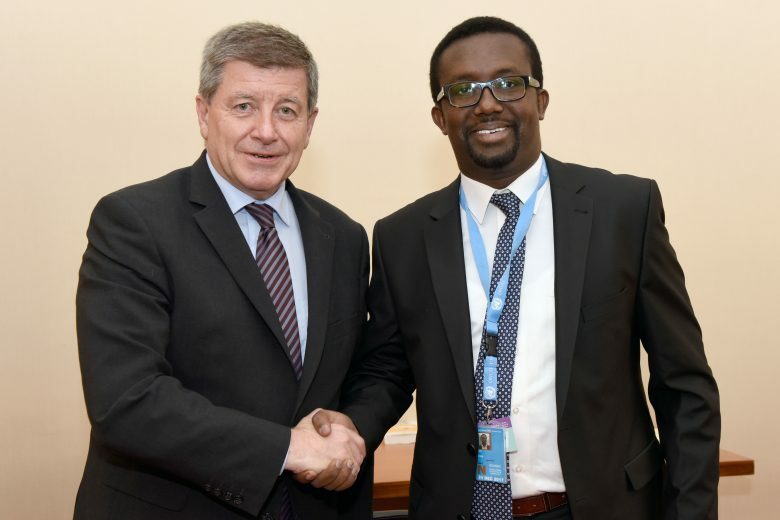 FESTU delegation also conversed with the ILO Director-General over the implementation of decisions and recommendations by the ILO Governing Body and its Committee on Freedom of Association, concerning Somalia in order to safeguard human and trade union rights. Mr. Ryder averred that ILO is striving for the implementation of its decisions, especially those coming from its executive arm, the Governing Body, to protect the rights and freedoms of free and independent trade unions, which are simply based on international conventions that Somalia ratified. 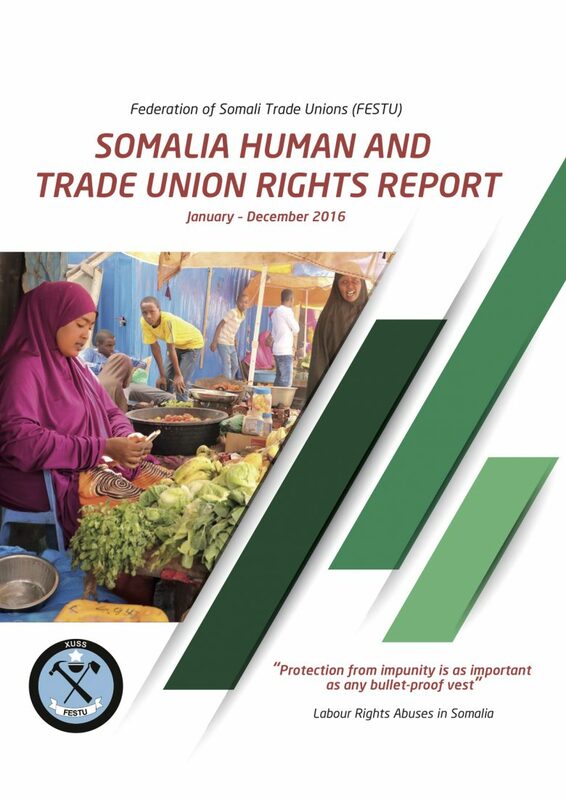 “Apart from rights abuses and lack of respect of international labour standards, the levels of unemployment have reached alarming levels and there is urgent need for Somali tripartite partners and ILO to collaborate and adopt practical interventions to arrest the situation while upholding international labour standards,” FESTU General Secretary said. ILO Director-General noted that decent work agenda is the best approach to address the chronic problem of unemployment and underemployment in Somalia, and ILO will strive to revive the process to validate decent work programme with genuine tripartite partners that ILO recognizes. The International Labour Conference is the ILO’s highest decision-making body. It meets annually in June bringing together tripartite delegations from the Organization’s 187 member States to set labour standards, settle disputes between between governments, unions and employers, and to develop policies and work programmes to promote decent work for all. This year’s session brings together over 4,000 delegates from around the globe to discuss the most pressing issues facing the world of work today. The theme of the Director General’s report to the conference is the “Work in a changing climate: The Green Initiative”. The Green Initiative is one of the organization’s centenary initiatives to mark its 100th anniversary in 2019, and was launched to give practical application to the decent work dimension of the transition to a low-carbon, sustainable development path.